Our forums can usually guess who will turn up on the cover of Vogue Paris every month, thanks to Emmanuelle Alt being pretty predictable. After serving retro redux with Rianne van Rompaey last month, the French fashion bible goes all classical on us for April 2019 with some surprising cover girls. 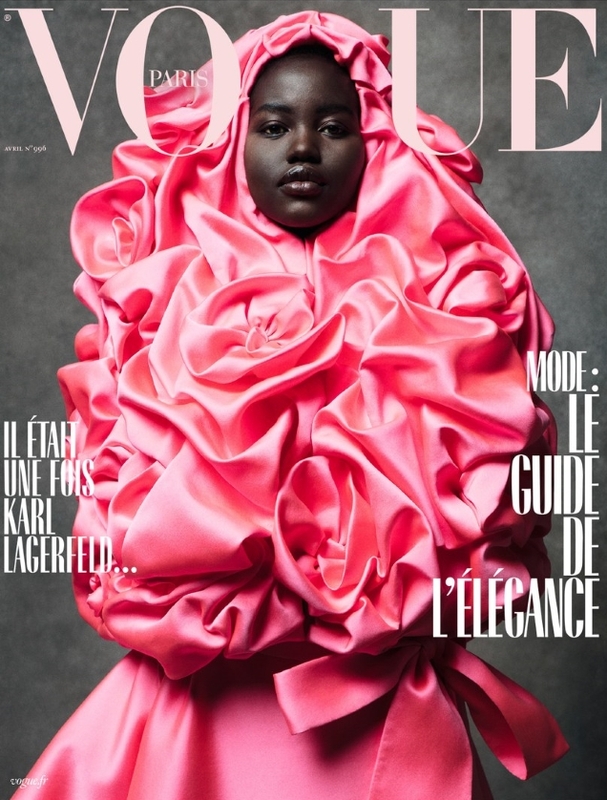 Adut Akech and Raquel Zimmermann score their first Vogue Paris covers, while regular Andreea Diaconu adds another to her portfolio. Photographed by Inez van Lamsweerde & Vinoodh Matadin and styled by Alt herself, the girls sport show-stopping creations from Valentino and Chanel on their solo covers. Forum members digested Adut’s cover first (above). “Fabulous! It’s what I’ve been waiting for on a Vogue Paris cover for a while now,” dodencebt said. “Wow! What else could I possibly say!” exclaimed Blayne266. “Wow, such a change for the usual VP covers styling wise. I love it and am so happy for Adut,” said kokobombon. There’s something going on over at Vogue HQ — and we like it. Despite the Hailey and Justin Bieber cover last month, Vogue has been consistently delivering impressive covers with the likes of Emily Blunt, Priyanka Chopra and Reese Witherspoon. 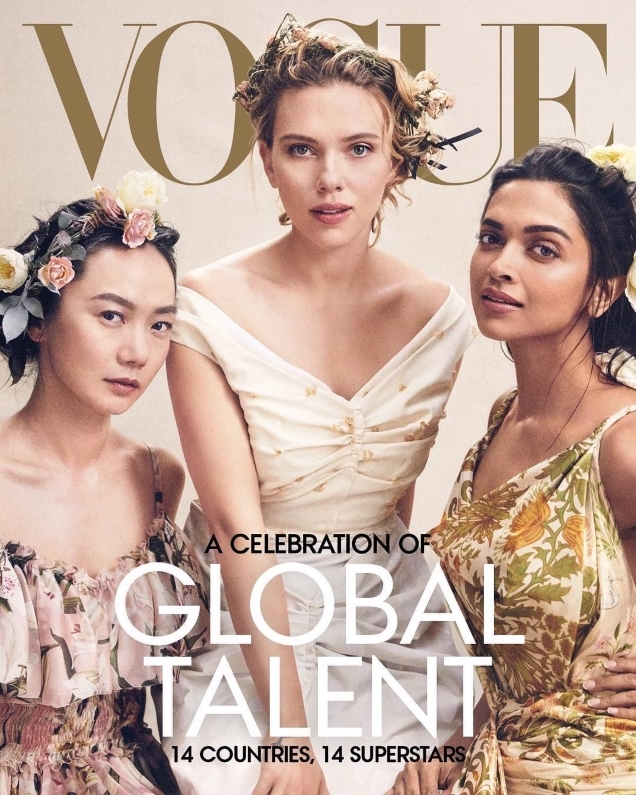 Diversity is on order this month as Vogue gives up its latest to “global talent,” as actresses Scarlett Johansson, Doona Bae and Deepika Padukone feature on one cover and Léa Seydoux, Angelababy, Adesua Etomi-Wellington and Elizabeth Debicki star on a second cover. The ladies sit pretty in the charming images shot by photographer Mikael Jansson and styled by Camilla Nickerson. Were our forum members buying Vogue‘s newfound direction? “I’ve never been a fan of US Vogue but this year they have produced some lovely covers, this included. They have all been classically American Vogue, but we’ve had new faces and more importantly diverse faces,” Blayne266 said. “Another classic example of an old-school American Vogue which I won’t scoff at! It’s a beautiful cover, and even more refreshing to see fresh new faces on the cover,” echoed vogue28. 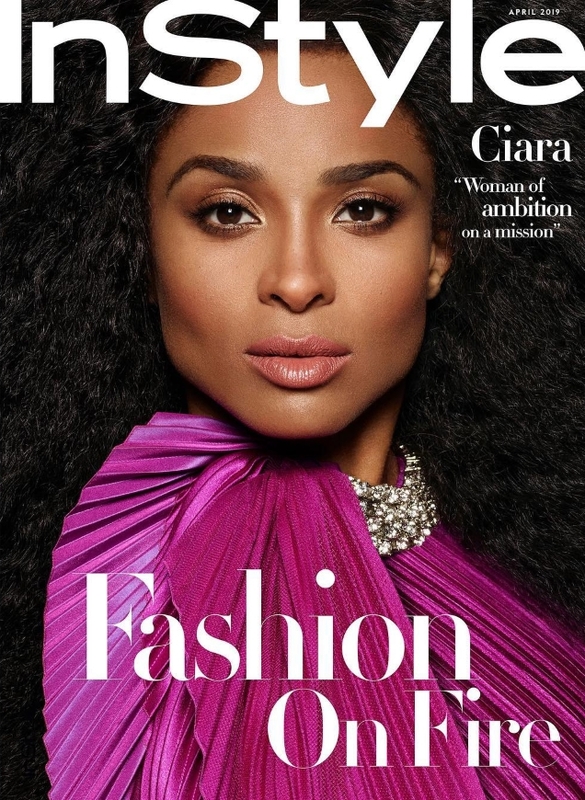 Considering the atrocious Harper’s Bazaar Cardi B cover last month, we didn’t have much hope for the rest of the magazine’s spring covers — and, unfortunately, the April 2019 cover wasn’t able to make up for it, according to our forum members. Alicia Vikander will greet you down at the newsstand this month, as she finally makes her debut as a Bazaar cover girl (just as our forums complain over the same old faces). The Swedish actress receives the full Bazaar treatment for the occasion, featured in one of the magazine’s typical cover shoots, suspended high above the ground and captured on location in Savannah, Georgia and shot by photographer Mariano Vivanco. Styled by Miguel Alberto Enamorado, Alicia wears Louis Vuitton throughout (if you even need ask) as she soars to new heights. Another month, another mediocre Bazaar cover. “I really don’t like this cover. Not an attractive cover at all, I wouldn’t stop to look at it. You can’t really tell who it is instantly and her expression looks off,” discredited Morgane07. 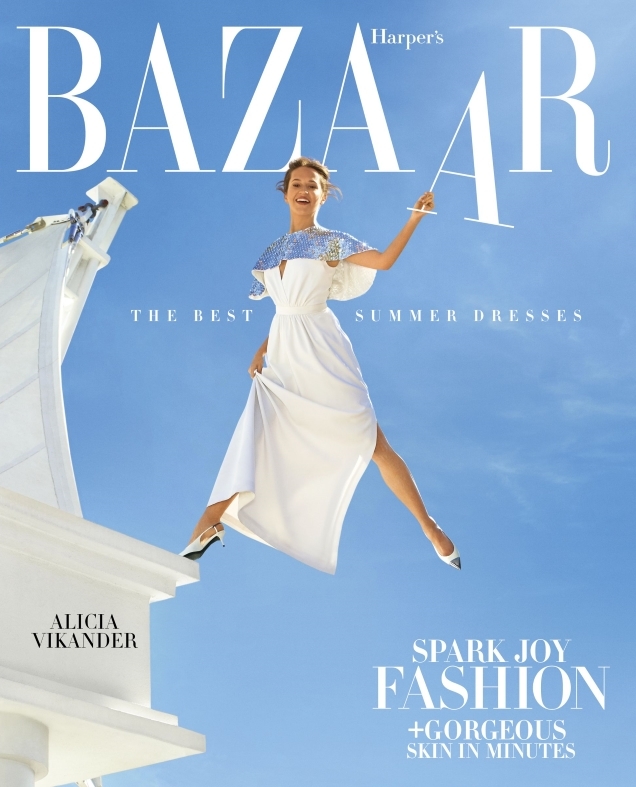 “Someone tell Harper’s Bazaar that it was Emily Blunt who played Mary Poppins, not Alicia Vikander,” laughed dodencebt, suggesting the cover resembled Blunt’s recent Vogue cover. “Atrocious! Which is pretty much the norm for the majority of Alicia Vikander’s covers. I admire Glenda’s ballsiness, but this girl has been shot by so many photographers and the result has always ended up awful. Not sure why Harper’s would prove any different,” Benn98 chimed in. “If the best she’s going to bring is ‘boring schoolgirl’ then this woman shouldn’t be allowed on covers, because she’s wasting everyone’s time. And I’m getting tired of the ‘athletic pose against a blue sky’ that seems to be the default style for most of their lead shoots these days. I say this as someone who actually likes US Bazaar and buys it more often than not,” shared tigerrouge. “Wait, is it still 2018? I know Glenda’s Bazaar is dated but did she really have to feature her instead of a plethora of other, more relevant celebrities?” quipped Ken Doll Jenner. Check out Alicia’s accompanying cover feature and share your thoughts here. Print magazines need to pull out all the stops to survive these days and you’ve got to hand it to Marie Claire for at least trying. In 2018, the magazine unveiled a redesign, which captured the attention of our forum members, and the title backed up its bold new look with terrific, diverse covers starring Emily Ratajkowski, Amy Adams, Zendaya, Kerry Washington, Penelope Cruz and Lupita Nyong’o. 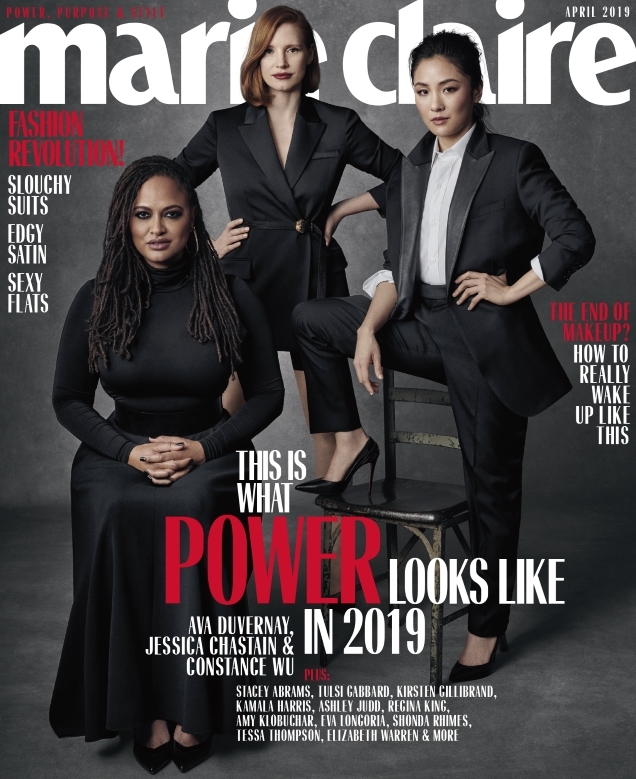 For April 2019, the cover shows us “what power looks like in 2019” with Ava DuVernay, Jessica Chastain and Constance Wu, photographed by Amanda Demme and styled by Joseph Errico against a gray studio backdrop. Was it enough to impress our forum members? “Should be a The Hollywood Reporter cover,” remarked TZ001 at once. “Sick of all the ‘Women in Hollywood‘ covers. They all blur together, the photos are largely indistinguishable and the articles are near identical. So what’s the point? It’s the click-bait of newsstands everywhere,” stated SophiaVB. “Kinda annoyed by the headline. Let the image speak for itself. A powerful cover will manifest/exude power,” MON chimed in. Magazines have a habit of favoring certain cover subjects and V Magazine certainly cannot resist a Lady Gaga cover. Quite possibly the magazine’s most-featured cover star, Lady Gaga returns to commemorate a decade of collaborating with the New York-based arts, music and fashion publication. Released just as “Shallow” finally reached number one on the charts, V commissioned photographer Jean-Paul Goude to capture the multi-hyphenate for the Spring 2019 Issue #118. Starring on two unique covers, Gaga channels her inner Vegas showgirl wearing a Giorgio Armani Privé gown on the first cover (below) and goes incognito hiding behind a stack of hay for the second cover. For a select few of our forum members, this was yet another example of V Magazine on repeat. “Gaga on the cover of V? Groundbreaking,” stated RMDV the second the covers struck. “It’s always the same crap: the old Gaga is back but not really. V Magazine and Gaga, we don’t need you anymore! Rihanna is pushing fashion forward in Hollywood and Beyoncé is pushing the mainstream sound, so this is pointless to me,” voiced ghostwriter10549. “This magazine lives on repeat. Please Stephen [Gan] go away,” pleaded caioherrero.